xCloud Official Blog: What Can You Do with xCloud? What Can You Do with xCloud? If you are a loyal reader of xCloud official Blog, I think you must have known xCloud is a private cloud storage App, which is designed to transfer files between PC and mobile devices securely. However, if some people ask you what you can do with xCloud, I think the first answer emerges in your mind is transfer files. In fact, xCloud also has many other great features. This post is written for you and offers you a list of what you can do with xCloud. 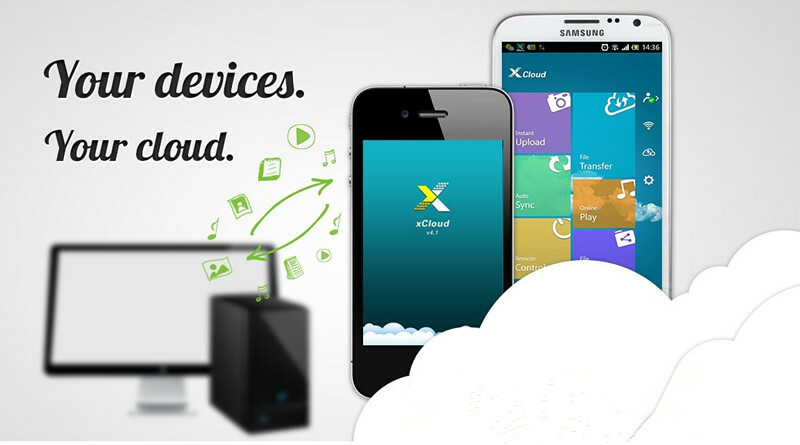 Just like what you have known, we can use xCloud to transfer files between PC and our mobile phones, for instance, upload pictures, videos and music from mobile phone to PC, download files from PC to mobile phone. While without time and space limits, it means we can easily transfer files anytime and anywhere. 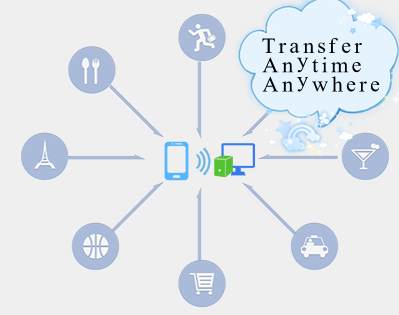 We know that file can be transferred only when PC and mobile devices are connected, in other words, if you have a trip to another city or country, if you can’t get your PC power-on, you can’t transfer any files from/to your PC. While xCloud is fitted with remote power-on and power-off, then you can remotely turn on your PC and transfer files via xCloud, once finished, turn it off. Nice music or films make time fast especially when we are killing time. While nice music and films are stored in PC and you can’t get access to PC. 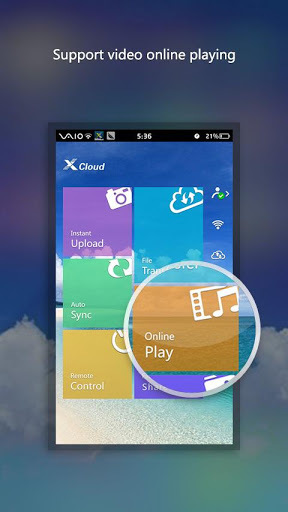 At this moment, xCloud offers you a way to access your PC and online play music from your PC. (Online play video will be added in next version) You just need to add the folders with your favorite files into Custom Directory, and then you can view, download, or online play them (if they are music or videos) on your phone via xCloud. Enjoying with others is always better than enjoying alone. If you have some fantastic pictures, music or videos, don’t forget to share with your friends. With xCloud, you just need to share them to your friends on your desktop xCloud and needn’t send them as attachment via Email. Normally, we take many pictures and store them in the phone, when the phone reminds us insufficient memory, we begin to move those pictures, music and videos to PC and find some interesting we should share with others, then send them to friends or family. However, some moment we want to share with others, especially those important to us, but they are absent. At this moment, I think most of us will take pictures and send them to friends via message. Nice idea, but it isn’t the best choice. With xCloud Instant Upload, you can take photos and those pictures will be uploaded to your PC or your friends or family’s PC, they can view them at once. It is a live photo stream, those important to you witness the same moment with you. If you have downloaded the latest xCloud and when you connect your mobile device to your PC successfully, you can see your PC's utilization rate and comparative result with others'. You can do these with xCloud even if you are new user of xCloud, . With times goes by, you will be more familiar with xCloud and find some special ways to use it, maybe do some crazy thing, if you found some, don't forget to tell us by leaving a comment. 4. Your Public Cloud Maybe Is Being Monitored!